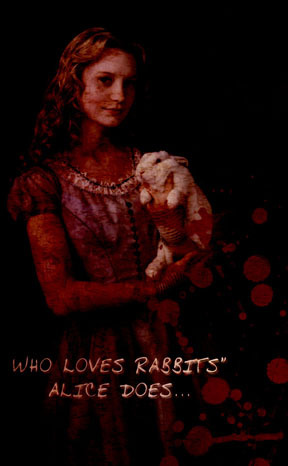 Alice has been looking over the edge, cause she loves rabbits. Here in my fantasy, she may love to eat them more than actually following them... You Decide? yep, raw, warm, and still twitching! I think you should her eat them raw like Golum. No potaters. two lord of the ring references... i love that!